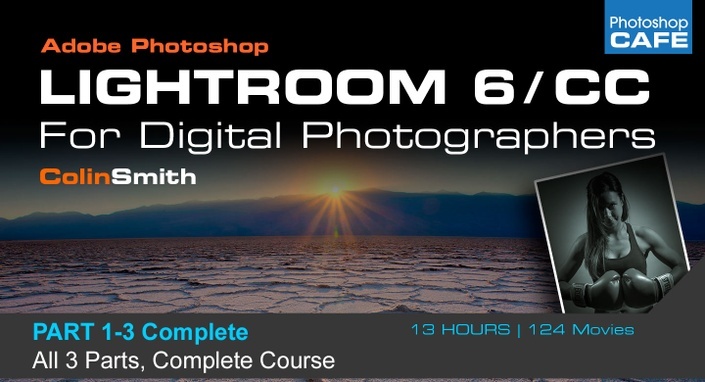 This is the most comprehensive video on the market for Lightroom. This 6th edition is recorded in beautiful HD from the ground-up for Lightroom 6/CC. Learn how to import, organize, develop and output all your captures with effortless ease. Enjoy in-depth coverage, pro techniques, secret tips and Colin's way of breaking down even the most complex tasks into quick and easy to understand techniques. You'll spend less time in front of the computer and more time behind the camera! If you are new to Digital Photography,an old-hand or someone looking to learn the "correct" way of doing things, look no further. 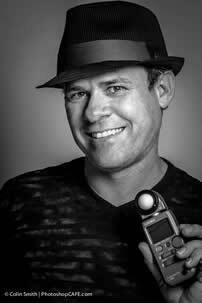 Watch over Colin's shoulder as he demystifies Lightroom. You'll learn all the shortcuts, tips and tricks from a true expert. Do you ever get frustrated with tutorials that don't work in the real world? In many cases Colin shows you multiple methods so that you can choose the one that's best for your photo. This is not like other training videos. The techniques aren't from a classroom bubble. This is what works today in the real-world. There are no monotone presentations with boring uninspiring images. You'll learn tons, you'll have fun and most of all you'll be inspired. See why millions of people are passionate about PhotoshopCAFE training. (30,000,000 to date). This complete training course contains 13 hours of crisp video! The newly updated interface allows you to instantly jump to any of the 122 lessons with complete control over the playback. If you take photos: Beginner to professional, this is the disk you have been waiting for. You'll not only learn the HOWS, you'll understand the WHYS! Included: Sample Catalog with Excercise files. Includes a year of free Lightroom CC updates!